Most Protestant churches strongly reject all saintly intercession, citing passages such as 1 Timothy 2:1-5, which says that Jesus is the sole mediator between God and man, as well as Deuteronomy 18:10-11 which seems to forbid invoking departed souls. They also point to the fact that there are no examples in the Bible of living humans praying to dead humans — Jesus Christ being the lone exception, because He is alive and resurrected, and because He is both human and Divine. “Bless the Lord, O you his angels, you mighty ones who do his word, hearkening to the voice of his word! Bless the Lord, all his hosts, his ministers that do his will!” (Psalms 103:20-21). And in Psalms 148 we pray, “Praise the Lord! Praise the Lord from the heavens, praise him in the heights! Praise him, all his angels, praise him, all his host!” (Psalms 148:1-2). “[An] angel came and stood at the altar [in heaven] with a golden censer; and he was given much incense to mingle with the prayers of all the saints upon the golden altar before the throne; and the smoke of the incense rose with the prayers of the saints from the hand of the angel before God” (Rev. 8:3-4). And those in heaven who offer to God our prayers aren’t just angels, but humans as well. John sees that “the twenty-four elders [the leaders of the people of God in heaven] fell down before the Lamb, each holding a harp, and with golden bowls full of incense, which are the prayers of the saints” (Rev. 5:8). The simple fact is, as this passage shows: The saints in heaven offer to God the prayers of the saints on earth. Yes, we have Christ as the only intercessor before the Throne, but that never stopped any of our Protestant brethren from asked fellow believers from praying for them. We ask the friends of God to pray for us all the time, when we ask for the prayers of our friends and fellow believers. Asking those who’ve gone on before us is possible because they are alive in Christ, and offer their prayers to Christ just as do we. We all, both those in heaven and those still upon this earth, pray before the same “sole mediator between God and man”, Jesus Christ. It is Christ through whom we approach the Throne of the Father. 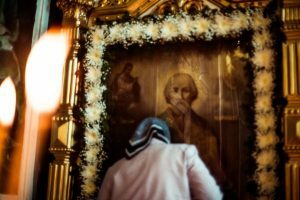 Finally, why would we not want to ask for the prayers of those who have already won their place in Paradise, and are already standing before the Throne of God, worshiping the Holy Trinity? Part of the problem for Protestants to accept the veneration of the saints stems from their reliance on an approach to doctrine and practice as being Bible only based. Proof texts is thus the norm for most protestant debate on the interpretation of any given passage. 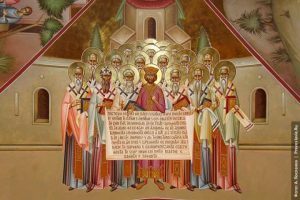 By the same token, the unity of worship and doctrine found within the Orthodox Church is the fact we’ve based both our way of worship AND our doctrinal teachings on Holy Tradition and Scripture. Since the Bible comes out of the living oral Tradition of the Church, the scriptures can only be properly interpreted from within the life of the Church. Our unity is based on what has always been taught. 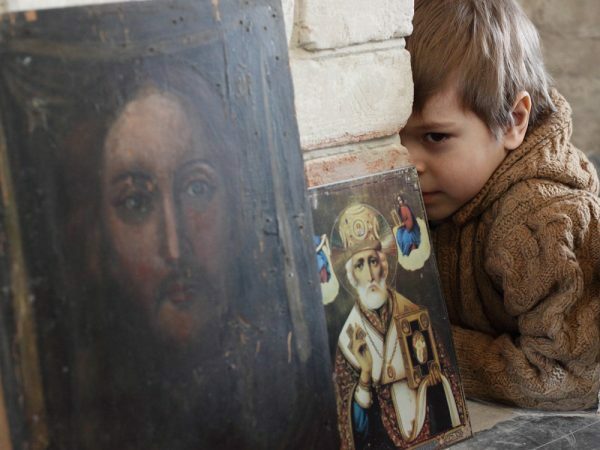 The Orthodox Church proclaims as dogma that which has been taught everywhere and at all times. The Church is catholic because that which she teaches and the way she worships is not only from Apostolic times, but was everywhere taught and practiced in Apostolic times. She is catholic (universal) because she is the same now as she was from the earliest times in her history. Her Holy Tradition is relied upon when interpreting the Bible, because it is from her Tradition from which the Bible emerged. Another point to think about is how we (from our Protestant upbringing) interpret the concept of Christ as the ‘sole mediator between God and man.’ The Protestant idea assumes that ‘mediator’ means ‘intercessor’. But, there is a more profound meaning, not merely an intercessor but the reconciliation of God and man in the reality of the hypostatic union of God and man in the person of Jesus Christ. That is, I think, the real meaning of ‘mediator’. Confer the meaning of the Latin source of the word, mediare: ‘place in the middle’, according to the Pocket OED. Doesn’t that make clear that the Protestant interpretation is missing the real point? Once we understand that, then the whole argument against the intercession of the saints has no reality.